Bill Nelson Chuck Schumer and Marc Elias clearly didn’t listen when Senator-elect Scott called on Nelson to respect the will of Florida voters and bring this recount process to an end– especially since it will only yield the same results. 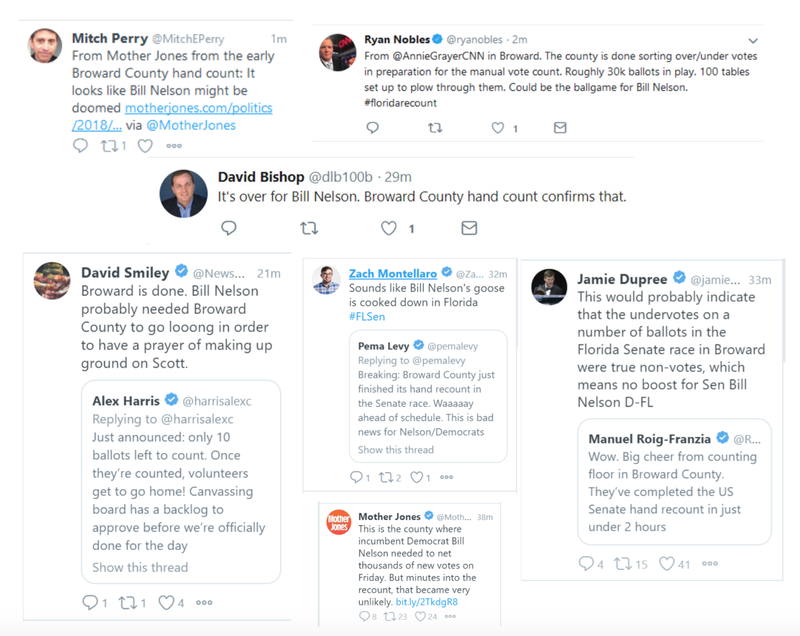 But at this point, it seems like the only person who isn’t aware that it’s time for Bill Nelson to move on is Bill Nelson himself. CNN: Bill Nelson Needs A Miracle In Florida. It Likely Won’t Come.